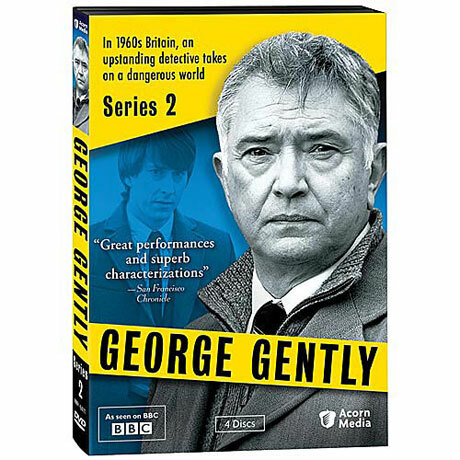 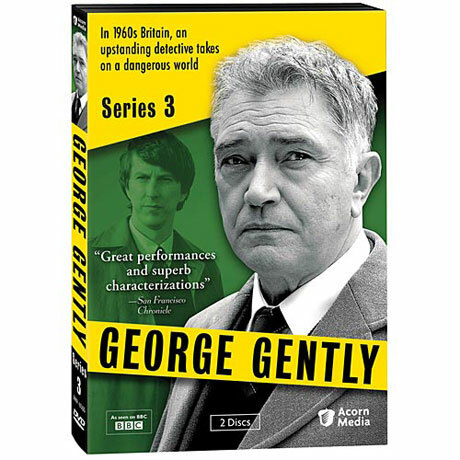 In this acclaimed BBC detective drama, Tony® nominee Martin Shaw (Judge John Deed, The Professionals) stars as Inspector George Gently, an incorruptible cop transplanted from London to Northumberland in the mid-1960s. 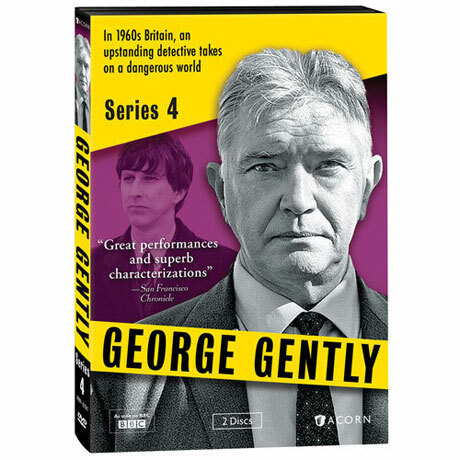 Gently and his cocky young protege, Sergeant John Bacchus (Lee Ingleby, Nicholas Nickleby), together investigate menacing crimes and confront the social and political changes rumbling throughout the country. Based on the long-running series of detective novels by Alan Hunter, these 11 feature-length mysteries from Series 1-4 teem with intrigue, wit, and style. 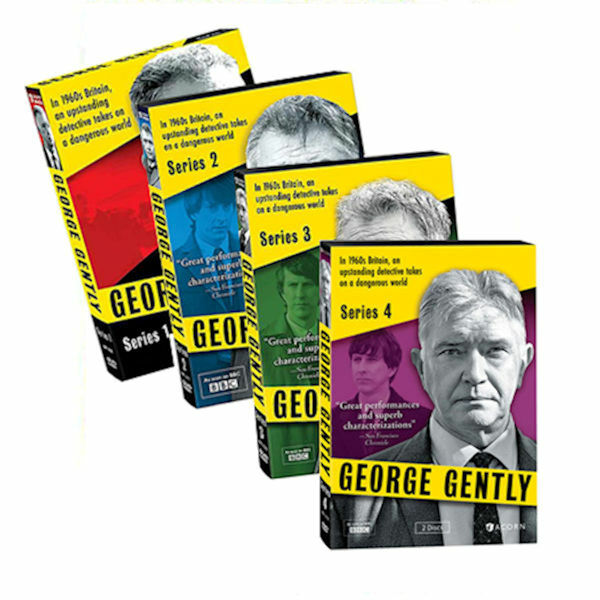 11 mysteries on 8 DVD or Blu-ray discs, approx. 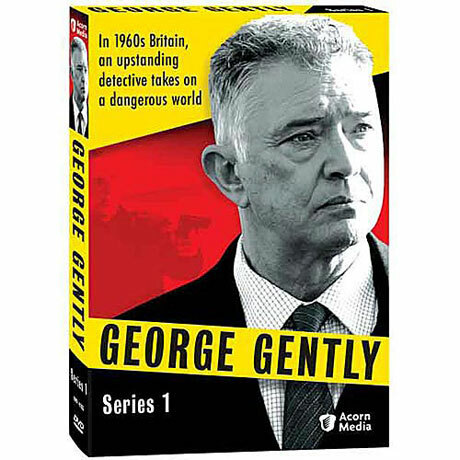 16¼ hours, SDH.